Our Ed Voyles Kia dealers have taken delivery of the 2018 Kia Stinger. This all-new luxury sport sedan is unlike any other Kia to date. Designed to deliver high performance and supreme comfort the Stinger goes toe to toe with the likes of BMW, Audi, Porsche and Mercedes-Benz. Powered by either a 3.3-liter twin turbo V6 or 2.0-liter turbocharged 4-cylinder engine and mated with Kia’s new gearing optimized 8-speed automatic transmission, the Stinger offers powerful, control and seamless shifting. The new Kia Stinger delivers up to 365 horsepower with 376 lb.ft. of torque and can go from 0-60 mph in as low as 4.7 seconds. Inside the leather appointed cabin are deeply countered seats, tasteful satin chrome embellishments and luxurious surfaces. The hand-stitched leather-wrapped steering wheel with paddle shifters completes the perfect balance between sports car and luxury sedan. 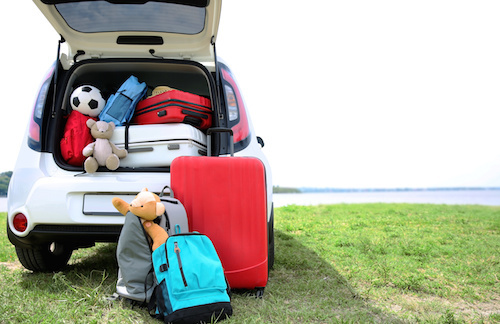 As for safety, the Stinger is packed with Kia’s newest and most advanced technology. Its Multiple Advanced Driver Assistance Systems include Forward Collision Avoidance with pedestrian detection, Lane Keeping Assist and Blind Spot Collision Warning. Offered in a choice of seven exterior colors and a variety of interior options, the new Kia Stinger is available in five model types; 2.0L, Premium, GT, GT1, GT2. The Kia Stinger has a base MSRP around $32,000, well below other luxury sport sedans currently on the market. 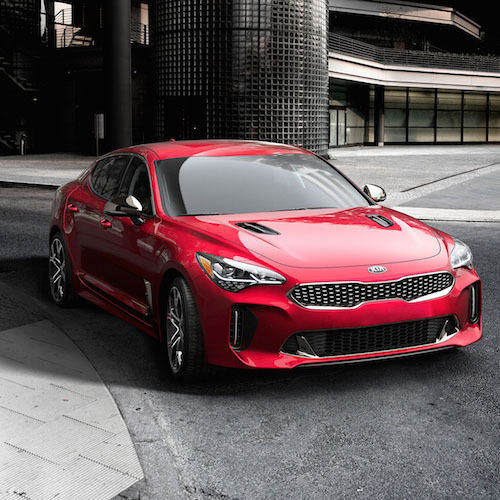 If you would like to learn more about this exciting all-new luxury Kia sports car please contact our Kia Dealerships in Chamblee or Smyrna or stop by for a test drive.